Political movie marketing may now be a thing. 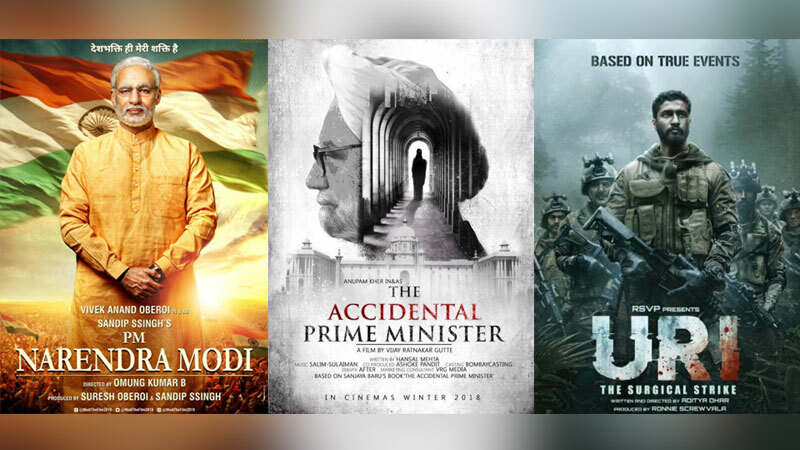 2019 kick-started with a political furore on the release of The Accidental Prime Minister and URI Surgical Strikes followed by the announcement of PM Narendra Modi’s Biopic. While a Common Man may or may not see through the uncanny sequence, the mix of communication targeting INC’s leaders, highlighting the moment of pride for BJP, is set to move the balance. The General Elections 2019 is around the corner and the mood of the nation would be dominated by political content across screens and mediums. A lot has been spoken about the impact of Social Media during General Elections 2014, looking back at the journey it would be safe to assume that Social Media had a major role to play in influencing the undecided voters’ opinion. And the Battlefield has also changed quite a lot, doctored Twitter Trends, Structured Social Media Units for almost every party/politician, Targeted Memes and Creators taking sides on situations, scams, and scenarios. Amidst the noise and clutter of opinions around parties, leaders, and ideologies, political marketers have realized that they really need to up the ante and explore new content formats to break through this clutter and evoke emotions/reactions from the masses. A bunch of filmmakers have decided to ride on this topical wave with a line-up of movies that co-incidentally align with the ruling party’s propaganda for the elections. The Accidental Prime Minister based on the book authored by PM Manmohan Singh’s Media Advisor Sanjay Baru falls in line with BJP’s narrative on 60 Years of Corruption and Misery India has faced under Congress Governance. The film highlights startling revelations on how Manmohan Singh was silenced/side-lined to make way for Rahul Gandhi as the leader of Congress/PM Candidate. URI Surgical Strikes is the high moment for PM Modi and BJP Government’s five-year tenure while they have been struggling to justify Demonetisation and GST Implementation. PM Modi took the extra mile to promote the movie by inviting a group of select actors and actresses to Delhi for a closed-door discussion in the interest of Film Fraternity in India. The outcome was a collective reach of over 100 million across celebrity profiles and a great platform for Vicky Kaushal to amplify the How’s the Josh activity around the movie. Another movie ready to latch on this Political wave is Tashkent Files, a thriller based on the death of Indian Prime Minister Lal Bahadur Shastri. The Movie might help BJP’s election campaign if in case it leaves doubts around the death, as the Prime Minister’s office was occupied briefly by Mr. Gulzari Lal Nanda followed by Ms. Indira Gandhi. 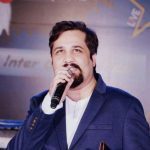 The latest piece of this Accidental Content Marketing Campaign which vows to enable a surgical strike on Congress’s efforts to come back to power is the announcement of a Biopic on PM Narendra Modi featuring the infamous actor Vivek Oberoi. A Common Man may or may not see through the uncanny sequence, the mix of communication targeting INC’s leaders while highlighting the moment of pride for BJP Government is set to move the balance. From a Marketing standpoint, the impact of these films would have been much better if the whole treatment was subtle and native. In textbook definition, BJP Campaign Managers toed the line between Content Marketing and Traditional Advertising with amplifications from A-List Accounts and Individuals. INC has also garnered some content led support from Dr. Shashi Tharoor’s book The Paradoxical Prime Minister. The book questions PM Modi’s silence over issues that shocked the nation while praising him for his gestures and oratory skills. For loyalists on both the sides, these assets serve as content buckets to drive home the party’s agenda. The ones who are undecided and neutral have access to uncensored information about Politicians, Political Parties, Scams, and History. It would be interesting to see how this Game of conquering the Political Throne unfolds. For now, we would love to know if you think that this is a planned campaign calendar or the line up of these movies is coincidental.